The exceptional taste and finish of Guillotine Vodka comes from a deep respect for traditional French savoir-faire. 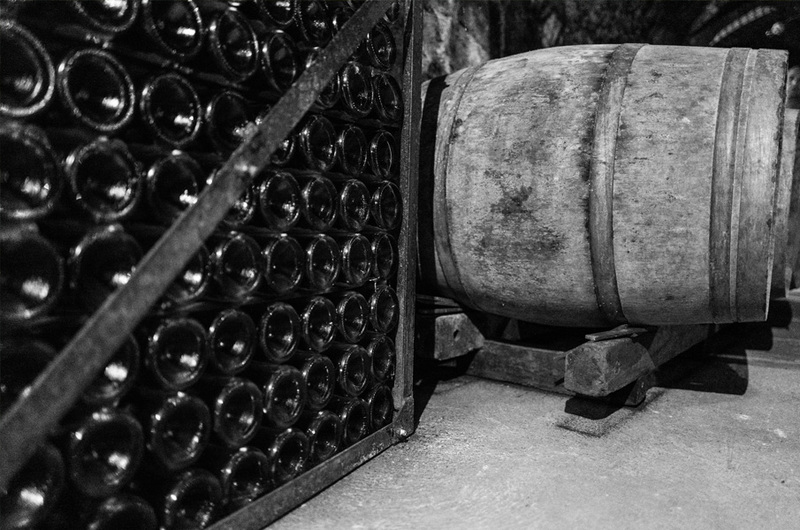 Our spirits are the product of mingling the finest grapes chosen from vineyards in the Champagne wine region. Our process starts by handpicking and de-seeding these world-renowned grapes, slowly pressing them, patiently distilling them, and expertly preserving their essence. 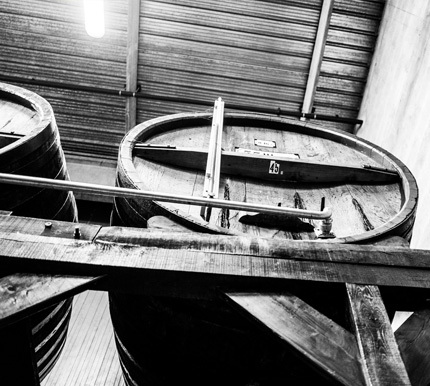 After pressed, the grape marc is fermented and then slowly distilled in a 100-year-old distillery. 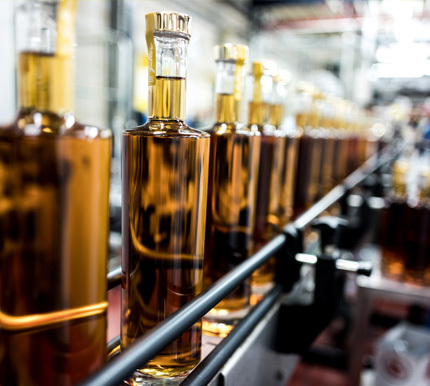 For Guillotine Originale, the resulting spirit is collected and transported to our warehouse in Ile-de-France, where the vodka is bottled in locally sourced, custom-made glassware. For Guillotine Heritage, our signature aged vodka, the spirit is left to further distill in Cognac barrels made from very special Limousin oak. Being aged in oak barrels before bottling gives Guillotine Heritage its unique aromas, increased roundness, and golden amber hue. The process lends its to a sumptuous complexity, evoking woody notes coupled with vanilla and cinnamon, as well as offering an incredibly well-balanced nose. This is the only French vodka from the Champagne vineyards that is aged in oak barrels, delivering a mid-palate rush that is smooth and clean, with a subtle exclamation of licorice and Szechuan pepper that gives this exceptional and unique vodka just the right amount of umami.